Can neck pain cause back pain? Because of the complexity and sensitivity of the spinal column, effective neck pain treatment hinges on identifying the root cause of your pain. Your body is an interconnected system of muscles, tendons and bone. An injury or disease in one area can cause problems in a seemingly unrelated body part. 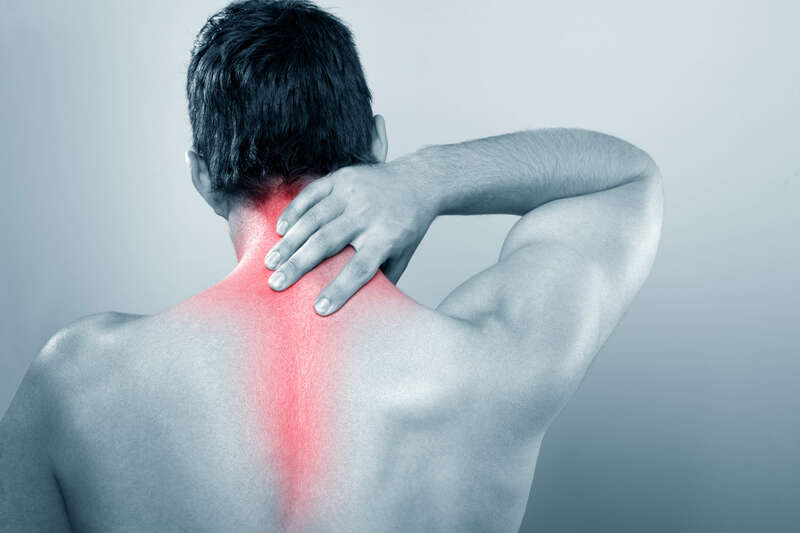 Whatcom Physical Therapy answers the question of whether your neck pain can cause back pain and how that affects your neck pain treatment options. The spinal cord runs from the base of the skull down to the lumbar region of your back. It is the link that connects your body and brain. Your spine is made up of vertebrae that enclose and protect your spinal cord. If these vertebrae are damaged or injured, they can pinch or put pressure on the spinal nerve sending pain signals up and down the length of your spine. So the short answer is, yes, neck pain can cause your back pain. How does neck pain cause back pain? Whiplash — Sudden acute injuries such as whiplash when the head is quickly rocked forward and then back can cause pain. Tremendous strain is put on the neck which can lead to inflammation or herniated discs that pinch the spinal nerve. Pain, tingling or numbness from whiplash often radiates from the neck down the back. Poor posture — Sitting for hours hunched over at a desk or looking down at our smartphones is terrible for out posture. The head and neck are put in a forward position that is against the natural alignment of the spine placing tremendous strain on the neck muscles. Over time, this can cause the alignment of the cervical vertebrae to shift forward. Poor posture is one of the most common reasons people seek neck pain treatment. Osteoarthritis — As we age, the fluid discs that cushion the space between vertebrae becomes smaller and less pliable. To compensate, the body may grow bone in its place to support the spine. This bone growth can cause pain and inflammation as the vertebrae rub together. This growth may eventually put pressure on the spinal nerve and cause pain to radiate from the neck down your back. Whatcom physical therapists are experts in treating pain and will create a personalized neck pain treatment plan to meet your goals. Reducing inflammation, tension and increasing range of motion can help relieve back or neck pain you may be experiencing. If you are considering physical therapy for your neck pain treatment options, contact one of our friendly administrative staff today to set up your initial appointment.